Marriage green card. Marriage visa. How to apply for a green card. If you are a United States citizen or a permanent resident who is married or plans to marry a foreigner, you should be aware that Petitions/applications based on the marriage involving immigration it is not a simple matter of “filling the forms”. It is heavily regulated area by the Federal laws and U.S. Department of Homeland Security as well as other agencies. There are many legal safeguards in place to prevent fraudulent marriages for immigration purposes. Marriage based petition, Form I-130, may be submitted for a spouse who is in the United States of abroad. Preparing a large volume of legal forms and gathering other documentation is only the beginning of the case. 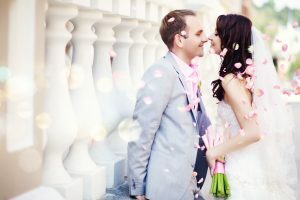 During the marriage green card process, several government agencies will conduct a thorough investigation into the couples’ background, relationship and circumstances of the marriage. Your private marital life will be scrutinized by experienced Immigration Service agents. In many cases, the couple may be questioned separately during so called “Stokes” interview. Under a tremendous stress of the interview, it is easy to get confused or forget an important detail. Immigration agents may conduct a “site visit” by coming to your home for verification. Every smallest inconsistency on the application or personal detail may set a red flag and become a total disaster for your family. By law, every petition based on the marriage must be extensively documented to be approvable. Every question must be answered and every issue must be resolved. If documentation is not sufficient or some answers do not perfectly match, the petition may be denied, resulting in initiation of the removal (deportation) procedure. You may benefit greatly by retaining an immigration attorney for a marriage based immigration case. From the initial consultation and until final resolution, we will work with you to win your case. Our firm will prepare your case for filing, identify potential problems, represent you at the interview, appeal non-favorable decisions and advise you along the way. CONTACT experience immigration lawyer for more information.